AIDS should be a disease of the past, but it isn’t. There’s no better time to remember this than December 1 — World AIDS Day, which has it’s 30th birthday this year. That’s 30 years that people worldwide have stopped to reflect on this deadly epidemic and once again unite in the fight against HIV/AIDS. But one day a year is not enough to end this epidemic for good. Let’s take a look at the progress we have made so far, the problem we are facing today, and the solution so we can understand how to win the fight against AIDS. The progress: The world has made major headway against the disease since the first World AIDS Day in 1988. Today, over 21 million people are receiving lifesaving AIDS treatment. New HIV infections are down by almost half since their peak in 1996. And AIDS-related deaths are down more than half since their peak in 2004. 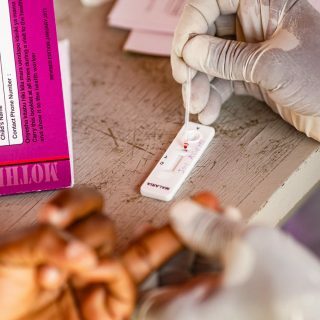 Much of the progress to date is thanks to the Global Fund to Fight AIDS, Tuberculosis and Malaria, an innovative partnership between governments, businesses, and health organisations designed to accelerate the end of AIDS, tuberculosis and malaria. The Fund raises and invests nearly $4 billion a year to support programs run by local experts in countries and communities most in need. The Global Fund isn’t affiliated with any government or the United Nations — it operates independently with the advice and oversight of donor and implementer governments, NGOs, the private sector, private foundations, and, most importantly, affected communities. 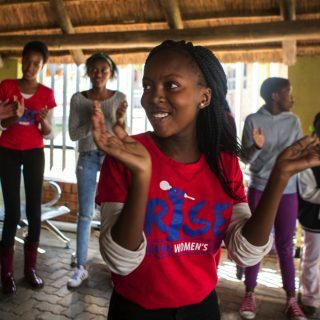 Through its innovative HIV Epidemic Response (HER) Campaign, the Global Fund provides dedicated and tailored resources aimed at preventing new infections among young women and girls. 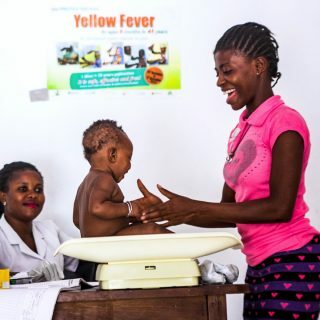 By utilising a cross-cutting approach, which includes sexual education, peer networks, community engagement, and investment in resilient health systems, the program tackles all drivers of the epidemic to create lasting change for girls and young women. $205 million was saved through pooled procurement. But all of this incredible progress is also creating a sense of complacency that could threaten our ability to end AIDS within our lifetime. The problem: The epidemic is growing by the minute and disproportionately affecting the most vulnerable populations. Nearly 37 million people are living with HIV today, and more than 15 million of them still can’t get life-saving treatment. As a result, three people are infected with HIV and nearly two people die from AIDS every minute. In the hardest hit countries, young women and girls continue to be disproportionately impacted by the disease. Over 750 young women are infected with HIV every day in sub-Saharan Africa. That’s twice as many new infections than young men of the same age in the region. 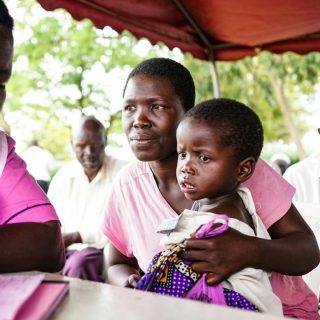 Discouragingly, only half of children living with HIV have access to life-saving treatment and progress on prevention of mother-to-child transmission of HIV is slipping. Last year, marked the first year that new infections among children haven’t fallen since they peaked in 2002. The epidemic is growing because there is a 20% global shortfall of funding needed to reach key targets in the hardest hit countries by 2020. If we fail to reach these targets, the disease could continue to outpace our response well into the future. How many more birthdays will World AIDS Day have before we can finally celebrate the end of this deadly epidemic? That will depend largely on the actions that you and I, and world leaders take over the next few years. The solution: We need to make sure that the Global Fund is fully replenished in 2019. This World AIDS Day, let’s celebrate by taking action. The Global Fund needs to be replenished in October 2019 and we’ve got a lot of ground to cover by then. A fully funded Global Fund will save millions more lives and is a key part of helping end the epidemic. The replenishment is a critical opportunity for donors to increase ambition and recommit to ending AIDS. We have the tools we need to end the epidemic by 2030. Now we urgently need stronger financial and political commitments to ensure these tools get to the people who need them most. This is an opportunity that we cannot lose, and you can help make sure we don’t.